With the diversity of the South Africa's population in the back of one's mind, it is good to know that the first white people arrived in the country at the Cape of Good Hope, long after the black people did. That was in 1486 when Portuguese explorer Bartolomeu Dias and his crew were the first Europeans to sail around the southern point of the continent of Africa. He named it: The Cape of Good Hope ("Cabo de Boa Esperanca"). Because it was hoped that it would clear the way to India, which would simplify trade with the East. 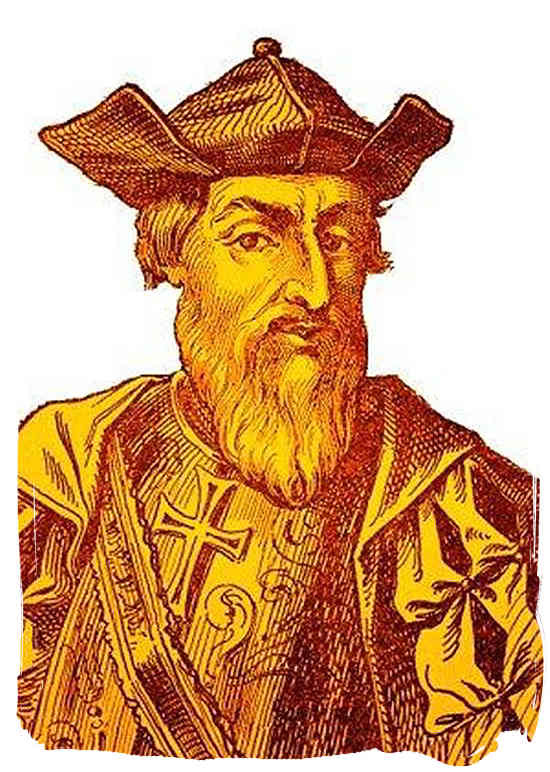 Nine years were to pass before Vasco da Gama, another Portuguese seafarer, also attempted a voyage around the southern point of Africa on his way to India. 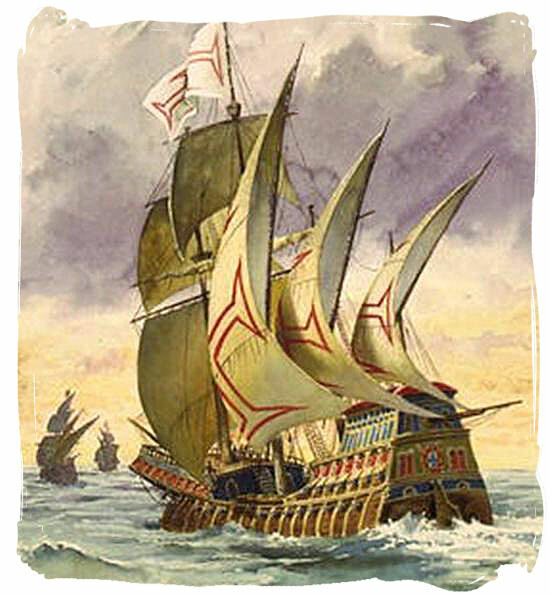 Once again the seafarers met up with Khoi people and some of Vasco da Gama's crew were hurt in a skirmish with them. The Khoi were prepared to trade with the seafarers but, because of communication problems and misunderstandings, there were many problems and disagreements between the two groups. On 25 December 1497, Da Gama reached the coast of Pondoland and called it "Natal", meaning "Christmas". Although the Portuguese were the first to travel around the Cape, they were not seriously interested in southern Africa. They were wary of the indigenous population and the weather at the Cape was sometimes treacherous and dangerous. 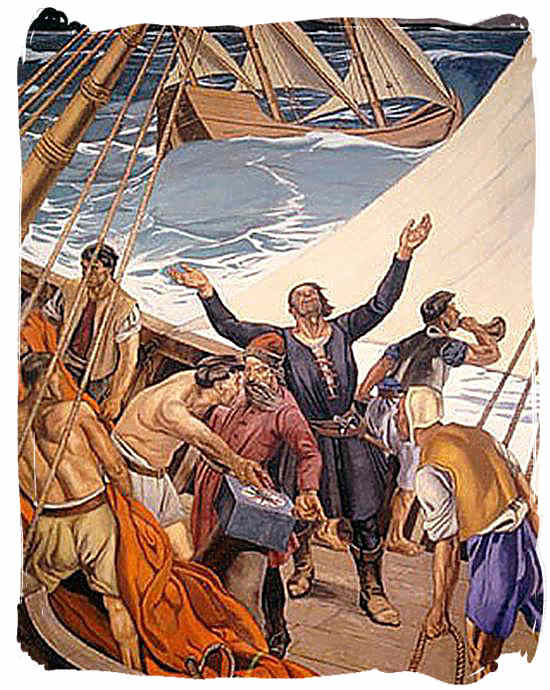 Some of the early Portuguese seafarers referred to the Cape as "The Cape of Storms" and preferred not to sail around it. Furthermore, as far as trade was concerned, South Africa offered very little, gold had not yet been discovered and, except for the presence of the Khoi people, the southern point of Africa seemed deserted and without promise. In June 1580, nearly a hundred years later, Sir Francis Drake sailed past the Cape. He was on a voyage around the world, commissioned by Elizabeth I of England. It was winter, the weather was calm and the landscape serene. The sight inspired Sir Francis Drake to utter the following words: "This Cape is a most stately thing and the fairest Cape we saw in the whole circumference of the earth." More British expeditions followed and other European countries soon followed in their footsteps. In the first half of the 17th century, it was mainly the English and the Dutch who made use of the route around the Cape for trading purposes. Danish and French ships also made stopovers to replenish their water supplies and to stock up with fresh produce. Although the English, French and Dutch East India Companies all toyed with the idea of establishing a base at the Cape in the 17th century, it was the Dutch who finally took the plunge.